There’s an old saying many of us have heard countless times, something along the lines of: ‘Lures catch anglers, not fish’… usually spoken by a frozen-prawn-and-pilchard-dangling fisho in an attempt to stir up a lure fishing mate. Given the walls of most fishing tackle shops are adorned with lures in myriad colours, shapes and sizes that entice you to buy ‘just one more’ – and the fact some people race out to buy more of the same type of lure every time a new colour is released – it’s perhaps difficult to argue there might actually be some truth to the saying! Enter Jason Olivey, of Remora Lures. He’s been handcrafting resin-head marlin and tuna lures for a few years now, and they’re developing a solid following among anglers on Australia’s east coast, where they’re made. 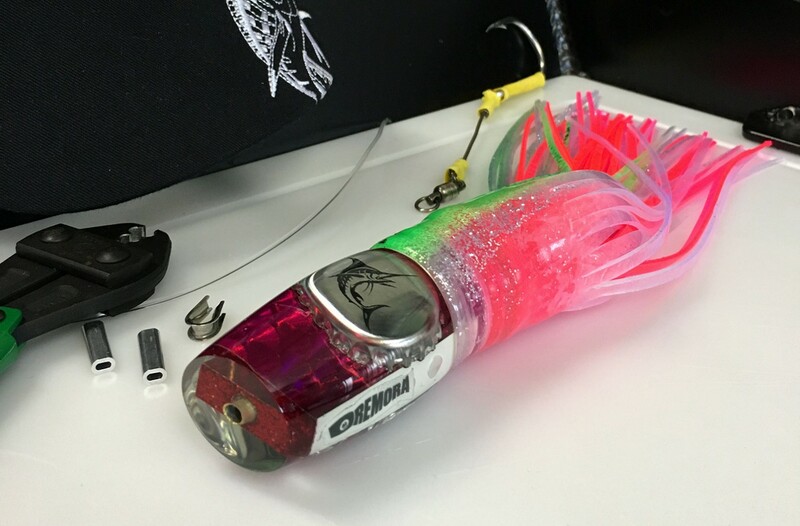 He’s recently sent orders to several high-profile gamefishing boats around the world – and even created a series of marlin lures for Cartlon & United Breweries with Great Northern bottle tops in the head! 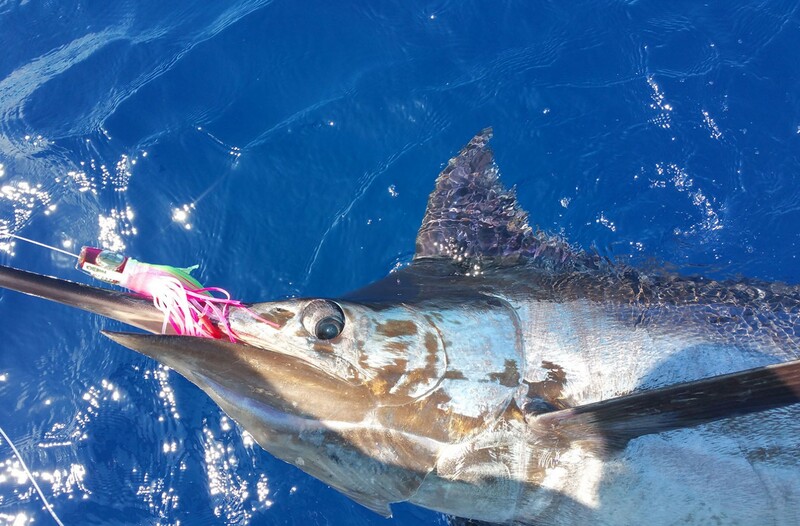 Proven fish catchers – accounting for marlin (blue, black, striped, and even white), sailfish, mahi mahi, wahoo, yellowfin tuna and several barrel southern bluefin tuna – what really sets Remora Lures apart is the fact Jason specialises in custom lures… designed and made specifically for you (and to catch fish, of course!). Jason was a bit of pioneer in successfully putting photos into a resin lure head – the first ones, believe it or not, being the Bar Crusher lures pictured above, which he made earlier this year. The handcrafted heads are fitted with quality Yamashita or Yo-Zuri skirts, depending on customer preference. 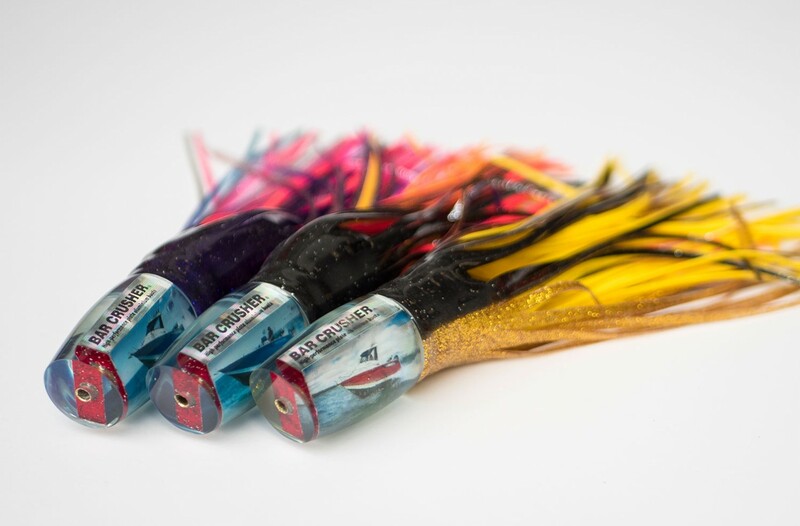 Available in 7”, 9”, 12” and 14” sizes, in a number of different weighted head shapes – Tube, Pusher, Knuckle, Straightrunner, Goliath (slantface) and Bullets – you can now order your own custom Bar Crusher lures direct through Remora Lures. 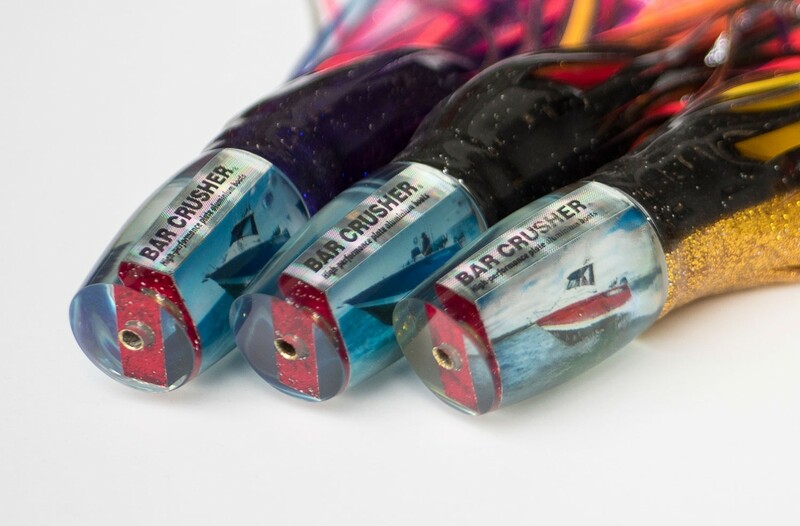 Whether you’re after one lure or a full spread, the entire Bar Crusher boat range is available to order in lure sizes and lure colours of your choice. 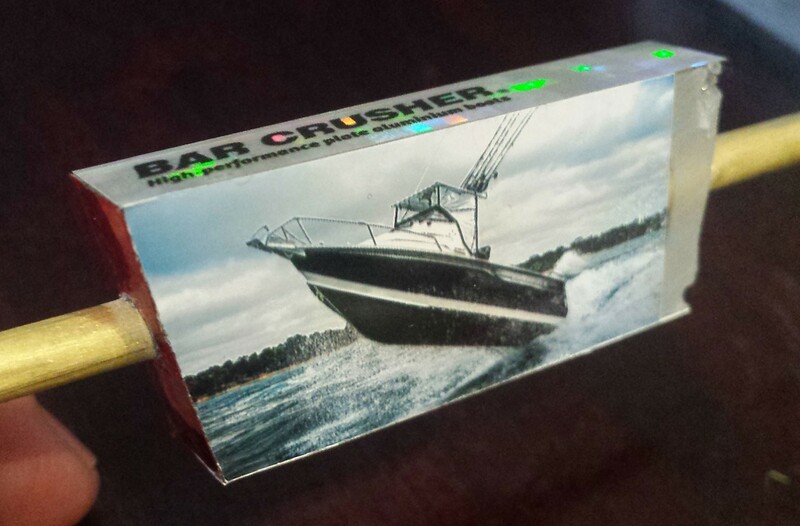 Just like Bar Crusher boats, these lures are built in Australia and ready for serious fishing action! For more information, contact Remora Lures via email remoraluresaustralia@gmail.com and follow on Facebook and Instagram.